No. 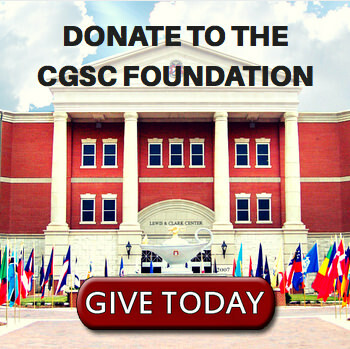 23/Fall 2017 (November) | Command and General Staff College Foundation, Inc. The 2018 classes of SAMS and CGSOC are well underway and into the rhythm of their academic year. – In this issue we highlight our 4th annual Celebration of International Friendship where we welcomed the 2018 class of international military students. 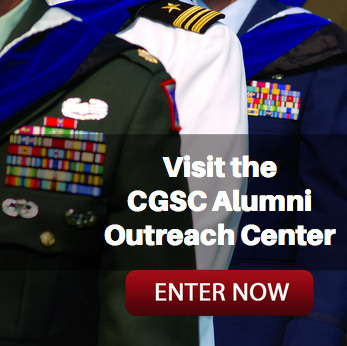 We also continue our “CGSC 101” series that highlights the College’s teaching departments and schools with a feature on the School for Advanced Military Studies (SAMS). We also feature the latest NSRT program hosted by DJIMO, the newest inductees to the halls of fame…and much more. We also have dedicated some space to thank our donors. We could not accomplish our mission without them. Last, remember we publish a “digital version” of the magazine on our website in which all the links you see in the print edition are active. We hope you enjoy this 23rd edition of the Foundation News.